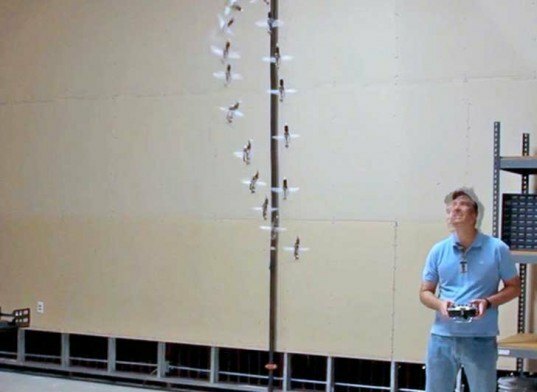 DARPA'S Nano Robot Spy Hummingbird Moves Just Like a Real Bird! DARPA’S Nano Robot Spy Hummingbird Moves Just Like a Real Bird! 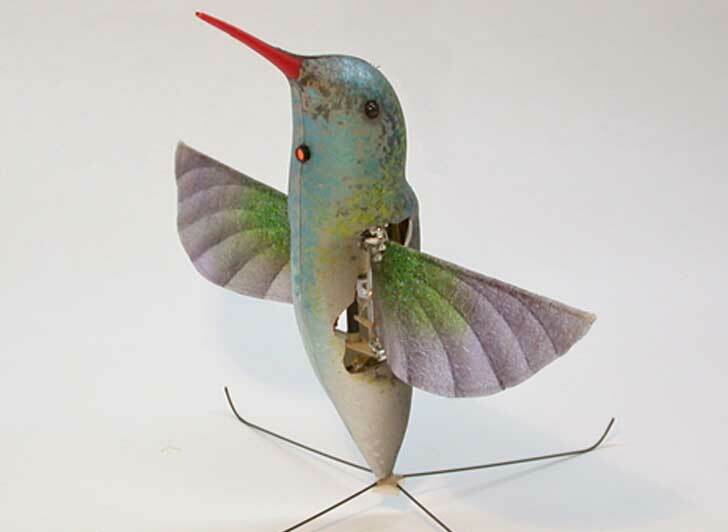 AeroVironment has created a tiny, mechanical, flying bird that borrows from the natural movements of the hummingbird. The Nano Hummingbird is a flying robot created through a program sponsored by DARPA (Defense Advanced Research Projects Agency) that is meant to be used in future indoor and outdoor surveillance missions. DARPA has requested a remote-controlled Nano Air Vehicle that can fly, hover, move forward and backward and be controlled without an external power source. AeroVironment’s Nano Hummingbird does all of that and more. DARPA specifically asked AeroVironment to create a flying robot that had the body and wings of a bird and what better bird to use than the agile and tiny hummingbird? AeroVironment employed biomimicry at a very small scale to create the bot, which flies just like the real thing. It can travel forward at 11 miles an hour, resist the side swipe of a 5 mph wind gust while hovering without being thrown more than a meter off track and can be controlled by a distant operator using only the information from an on-board camera. The Nano Hummingbird was named One of Time Magazine’s 50 best inventions of 2011. This isn’t the only flying robot that DARPA is investing in; they’ve recently released information about cyborg insects that will be used for future surveillance missions made in partnership with a team of researchers from the University of Michigan. AeroVironment has created a tiny, mechanical, flying bird that borrows from the natural movements of the hummingbird. The Nano Hummingbird is a flying robot created through a program sponsored by DARPA (Defense Advanced Research Projects Agency) that is meant to be used in future indoor and outdoor surveillance missions. DARPA has requested a remote-controlled Nano Air Vehicle that can fly, hover, move forward and backward and be controlled without an external power source. AeroVironment's Nano Hummingbird does all of that and more.